Money/rent receipt book lets you record rent payments and other types of payments. Each form indicates a place to record date, payers name, purpose of payment, payment amount, time period that the amount covers, amount due, amount paid, balance and signature of recipient. 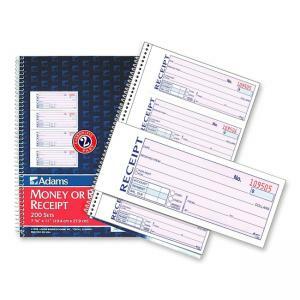 Convenient circles with preprinted "cash," "check," and "money order" let you check off method of payment. Each form is consecutively numbered.